Atlanta » Blog » Water Damage Restoration » Water Damage Restoration: What is it? Water Damage Restoration: What is it? 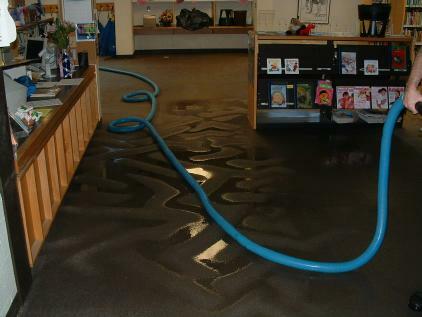 Water damage restoration is a series of operations that restore your property to its original condition after it has sustained any amount of water damage. It is critical that you hire a team of skilled, well trained professionals to ensure that your water removal, water cleanup and restoration project is done properly. A professional water damage restoration company has experts who are trained in the use of the latest water removal and drying technology. They provide same day emergency service to begin pumping water out of your flooded house as quickly as possible. Removing all standing water and unintended moisture from your home is the first step in the restoration process. The repair service will use moisture meters to indicate where moisture may be hidden from view. Invisible moisture may be lurking behind walls and cabinets. It is important that all of your wet materials are dried. Another practical service that a professional restoration service will perform is an inspection for mold. You need a competent water damage restoration team who can perform remediation for mold to make sure that your home is free from mold and moisture. Water damage is most often caused by some sort of failure in your home’s plumbing, a faulty appliance, toilet overflow, water heater leak, sewage backup or flooding from a rain storm or hurricane. In the event of flooding of any kind, do not delay in calling a certified water damage restoration specialist.